​and publisher of the world-renowned and award-winning "Never Alone" game created in collaboration with the Inupiat Alaskan Native community. ​Learn more about the world-famous video game "Never Alone"
and the "Gaming for Good" movement! "Never Alone" (Kisima Ingitchuna) is an atmospheric puzzle platformer developed in collaboration with the Iñupiat, an Alaska Native people, drawn from a traditional story that has been shared across the generations. "Alan has spent the last twenty years at the intersection of entertainment, technology and social entrepreneurship. He is currently President and Co-Founder of E-Line Media, a developer and publisher of games that help players understand and shape the world. 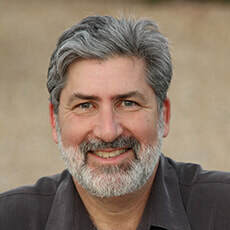 Alan has worked on impact game projects with the Gates Foundation, MacArthur Foundation, NSF, USAID, DARPA, White House OSTP, California Endowment, Cook Inlet Tribal Council, Games for Change, Google, Sesame Workshop, MIT Center for Bits and Atoms and the ASU Center for Games and Impact. As a speaker, Alan has been a featured at a wide variety of conferences throughout the world including SXSW, Sundance Film Festival, Game Developers Conference, SOCAP, DICE, Milia/Cannes, AAAS, National Academies and the World Economic Forum at Davos, Switzerland and Dalian, China. Alan currently serves on the Board of FilmAid International and Advisory Boards for PBS Kids New Media, iCivics and the Joan Ganz Cooney Center For Educational Media and Research (Sesame Workshop). He is also on the Advisory Board and former Chairman of Games for Change."